RealAutoTips. - Maybe you will not foreign again with the big motor manufacturer from Milwaukee, Wisconsin, United States that called with Harley-Davidson. Harley-Davidson will recall their motorcycle FLS Softai variant because of the problem of indicator lamp. 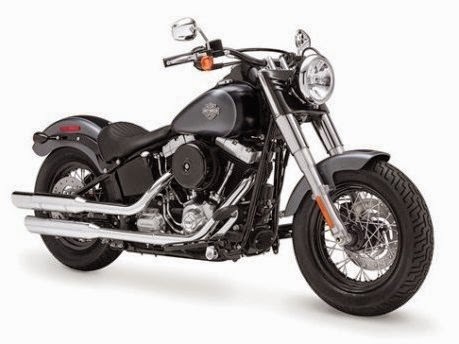 As reported from DetikOto on Thursday, 01/01/2015 that Harley said, as many as 4,688 units of Harley-Davidson Softail drawn FLS are units produced between March 25, 2013 and October 2, 2014. The manufacturer calls indicator lamp-outage detection of potentially stop. As a result, the front turn signal does not work it could potentially cause an accident. But until now there are no reports that there has been a victim of an accident or injury due to the problem. Harley Davidson also states, the repair process will be carried out and does not charge repairs to the owner. They also can contact Harley motorcycle for additional help if they run into trouble on the turn signal. So, if you have this Harley motor with this variant, you must prepare to this condition.